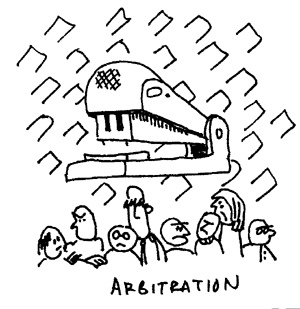 California Motion To Compel Arbitration Granted If There Could Possibly Be Inconsistent Rulings. 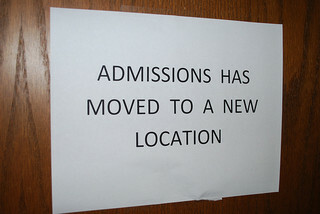 Judicial Admissions Work Both Ways, Not Just One Way. Questions of conflicting rulings are occasionally seen by Sacramento & Yolo real estate attorneys. Some defendants in a real estate lawsuit in Southern California were surprised recently when the court refused to compel arbitration. In Gohar Barsegian v. Kessler & Kessler, Barsegian was the buyer of a $3.7 million dollar property. A dispute arose, and the buyer sued her attorney and the seller. In a switch from the usual facts, The buyer’s contact with the attorney contained an arbitration provision; the seller was not a party to that agreement. Apparently there was not such a provision in the real estate contract. The complaint claimed that the seller recommended the attorney to the buyer, and that the seller and attorney had a longstanding relationship, and the attorney was secretly representing the seller as well as the buyer. In the Complaint the buyer alleged that “all defendants are agents of each other.” This is commonly done in lawsuits to allege a liability relationship between the parties, in the event that the evidence supports that relationship. The defendants argued that this was a binding judicial admission, establishing that there was no third party for purposes of Civil Procedure section 1281.2. Thus, arbitration should be compelled. A judicial admission is a fact conclusively established by concession, removing the issue from the litigation, and may not be contradicted by any party. It is a waiver of the proof of the fact. The mere allegation is not enough; the opposing party must admit it is true. When an answer admits any allegations of a complaint, it is a judicial admission. Likewise, in discovery, when a party serves a Request for Admission, if the other party admits it, it qualifies. Also qualifying are facts that the parties stipulate to. However, in this case, the defendants did not want to admit that they were agents of each other – rather, they wanted to be able to contest the truth of the allegation. They wished to hold the buyer to the trust of the allegation for the purpose to compel arbitration, but they wanted to retain the right to prove to the arbitrator that they were not agents of each other. As a result, the court refused to treat the allegation of mutual agency as a judicial admission. Here, the defendants wanted their cake, and to eat it too. But they certainly did not want to face arbitration admitting that they were agents, acting on behalf of each other. Instead, they will fight it out in court.